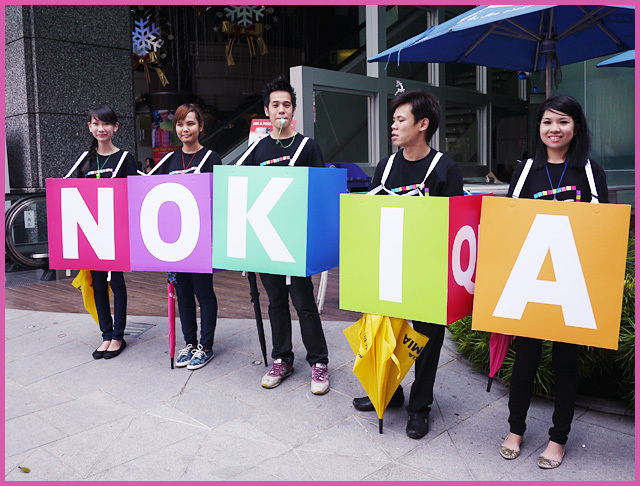 Last week I had a lot of fun coz I attended three Nokia events!! 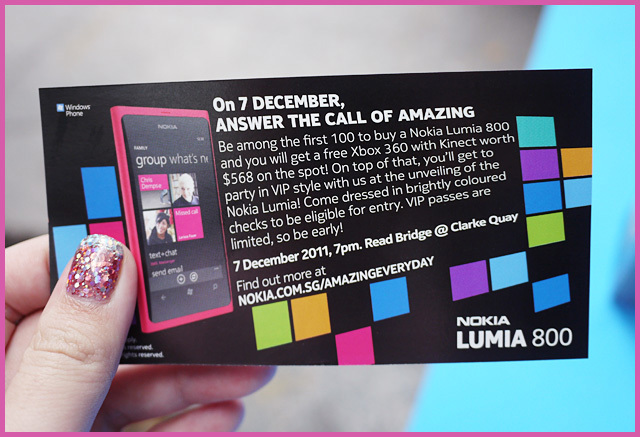 It is for the launch of the new Nokia Lumia 800 and I can tell that the peeps from Nokia are really excited about this phone because it is the first Nokia Windows phone! They really went all out! 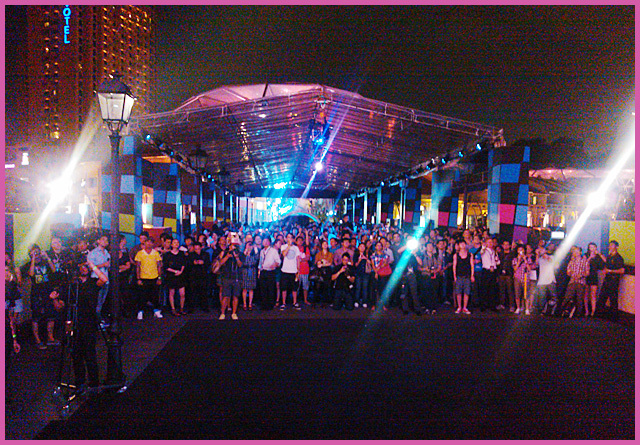 There were 2 roadshows last Saturday and Sunday along Orchard Road, and a big launch last Wednesday. Rozz and Paul Foster were the emcees. 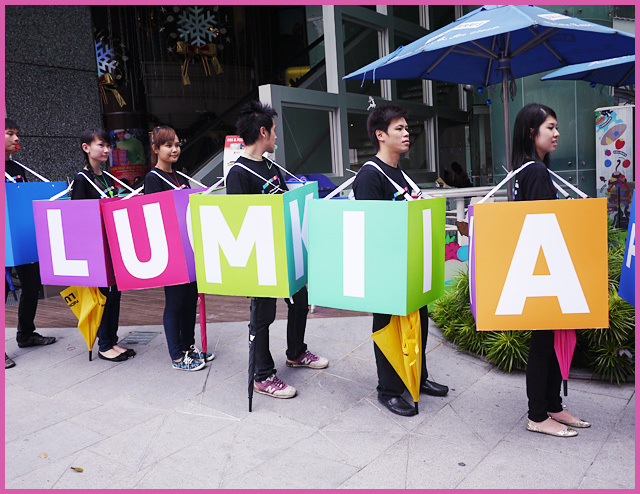 From fashion shows to DJ showdowns to, well, me, they really spared no expense to introduce the new Lumia to Singapore! I even saw the ads for the Lumia on my google adsense at the sidebar wtf. I was damn shocked like HOW DID GOOGLE KNOW? Models! And check out the pink style cube at the back! Three local designers were asked to showcase clothes themed to the Lumia. The winning team is Feist and Heist! That's the designer, Min, on the right. She's super talented or what? I love how she took the Nokia Lumia "tiles" (I will explain later) and applied it on the accessories. The square rings and bangles are so cool Rozz requested for some from her. 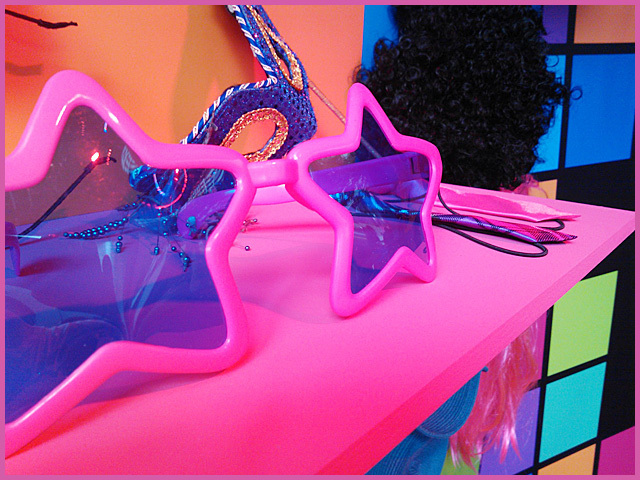 Inside the style cube you can have the first sneak peak at the Nokia Lumia 800, which comes in Black, Pink and Blue!! 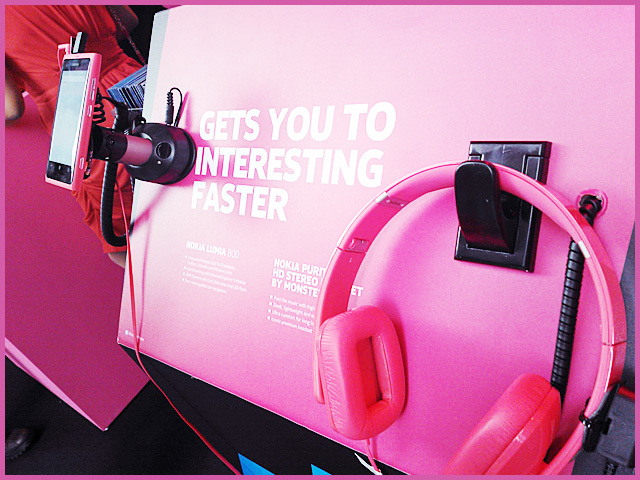 What I love are the matching earphones, exactly the same hue as the phone! Now THAT's style. 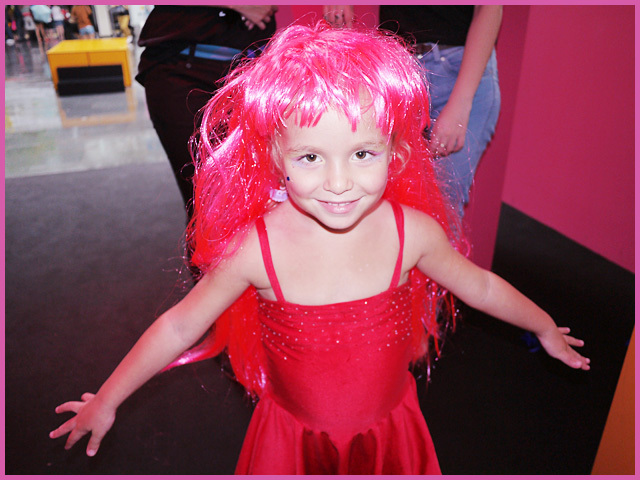 Also in the Style Cube are tons of accessories, wigs and makeup booths to let people have a makeover!! Can you believe this photo is taken with the Nokia Lumia? Freaking awesome 8mp Carl Zeiss lens! The structure had "tiles" inside to mimic the phone's cute interface. Pic taken during the rehearsal. Can you spot me? 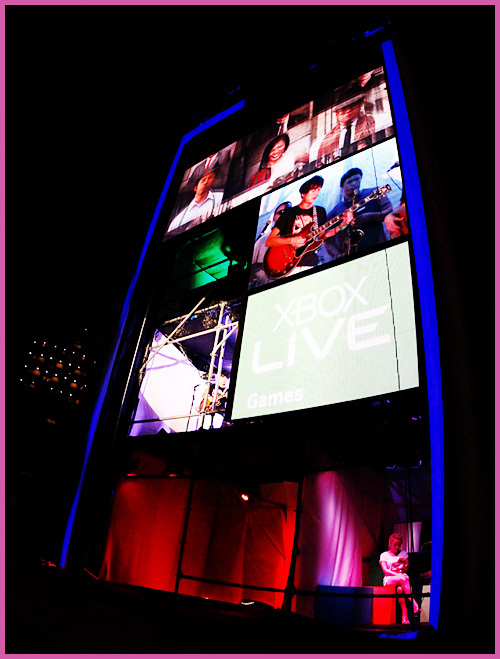 On the actual day I was supposed to live-tweet and my tweets will go up on the giant screen there! The models were rehearsing their walk in front of me and who can resist taking a picture like a lao tiko? LOL nice stems. The turn out was fantastic on the actual day... So many people watching! Stressed!! Me stepping out of my cube after live tweeting. And doing an interview afterwards. Not relevant to the phone or event but I look chio in this picture CAN OR NOT??? Enough with the event pictures!! How's the phone? Honestly, I must say I was quite skeptical when I got the phone but after using it I'm impressed!! The windows platform is very easy to navigate and use and surprisingly simple and uncluttered. The speed is amazing and it doesn't lag plus web browsing is a breeze because of the big screen and super fast loading speed. As you can see the phone's main interface are these "tiles". I LOVE THEM!! Plus you can choose whatever important application you want on the tiles. Do you see the tile with my picture on it and the one with Mike's? Well that's the best thing about the phone. You can set ANYBODY's personal "tile" there which makes it the best phone to stalk people imho. 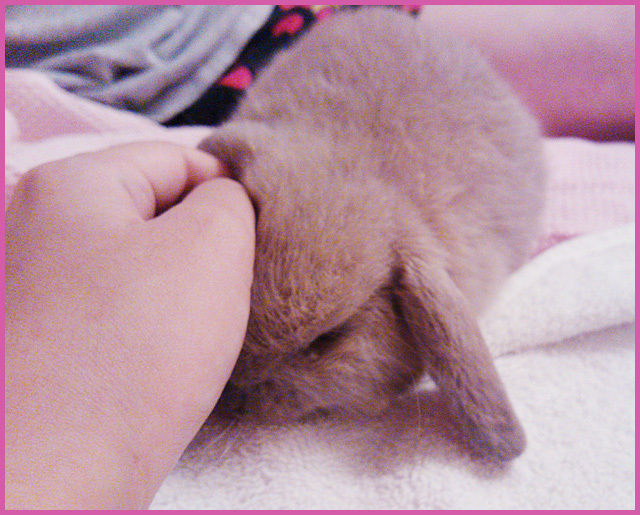 For example, the moment I open Mike's "tile", I see his latest facebook updates, latest pictures uploaded. I see options to call him, message him, email him, msn him, or even write on his facebook wall. Cool right? The "people" tile there also lets you see all the latest updates from your friends whether via msn, facebook, twitter etc... You just need to sign in and it's all in ONE PLACE!! It's really social! The awesome 8mp camera means you never have to bring a camera out again. Many apps like Youtube, Whatsapp, Angry Birds, Twitter etc are all also available for the Windows Platform. Apparently the phone also has a talking GPS system to help you while you drive! Talk about combining all gadgets into one! I take a picture of this random card from the event. And guess what? 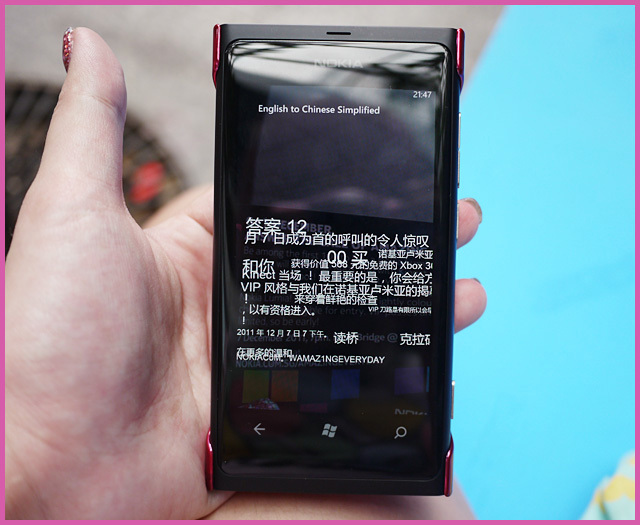 Just from that picture, the Nokia Lumia can TRANSLATE THE TEXT!! Granted it's not very accurate but this is my first try ever and the card I'm holding is very small! If you are looking to buy a new phone maybe you can give the Nokia Lumia 800 a try!